If you are have watched any number of the hunting shows on cable television, then you are aware of the obsession of Americans who fill the woods in their camouflage, rifles and/or archery equipment during deer season. Humankind has been bringing home the meat since forever. But with ready made food products it's no longer necessary for sustenance gathering. Hunting is now a multi-million dollar industry that is encouraged by the suppliers of their equipment, clothes, guides, and resorts that cater to those who can afford the luxury of being led to prime spots particularly in places like Africa that offer big game. As humanity encroaches on animal habitats, it's becomes increasingly more difficult for animals to avoid becoming extinct. Poachers have become a major problem by killing and wasting the animals for their body parts like horns and tusks. Management of these wildlife resources becomes imperative for their survival. Directors Christina Clusiau and Shaul Schwarz take a multi-faceted look at this complex issue without siding one way or another on the subject, letting the viewer decide for themselves. John Hume runs a rhino farm in Africa, hoping to breed at least 200 animals a year to save them. Rhino's are extremely vulnerable as their large horns are thought to contain some magical healing qualities in some parts of the world. Hume and his team dart the rhino's, take their vitals, and then cut off the horns so that they are not attractive to poachers. The horns grow back, so this is something that will have to be done every two years. The horns they accumulate are stored as the laws had put a moratorium on their sale. Hume cannot fund the farm without the income he can get for the horns unless he allows them to be hunted. In different parts of Africa, wildlife officials have to consider killing a lion that is eating the livestock from some villages where they have resorted to keeping their cows in the house to keep them safe. Photography tourists want the lions for their pictures and the quandary becomes the economic resources to the country verses lions stealing goats. 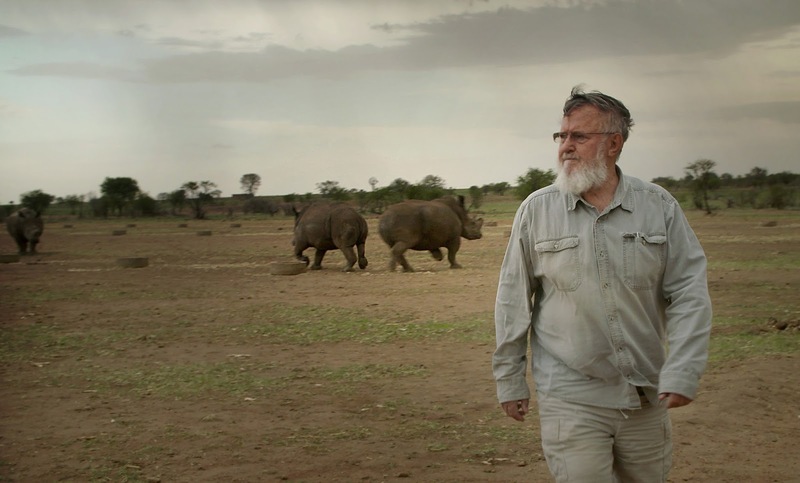 An American hunter has been planning for years his hunt for "The Big Five" (elephant, lion, cape buffalo, leopard, and rhino). As a creationist he claims the Bible says that God gave dominion of the animals to man. So basically killing endangered species his divine right. The safari guides in Africa, need the thousands of dollars these hunts provide. They also promote the use of conservation to control the animal population and only target older animals. The meat from the animals that are hunted are turned over to the local villages. One of the wildlife officials questions the concept of trying to save something so someone can come in and kill it. There is a debate in the film with John Hume and the head of Born Free, which works with animal protection activists. While some people understand Hume's goal to save the rhino, they also put forth that he will financially benefit from the sale of the horns. Some activists just want all the animals to go free, unaware of the long term effects of over hunting and poaching will devastate the animal populations. One woman said "look sweetheart, I'm a vegan, I believe in all living things". Which is a nice sound byte, but doesn't save the lions.